The past weekend held the annual St. Thomas Truck Nationals in Sparta Ontario. The show was a hugs success with many sponsors including Peterbilt Ontario and St. Thomas Raceway. 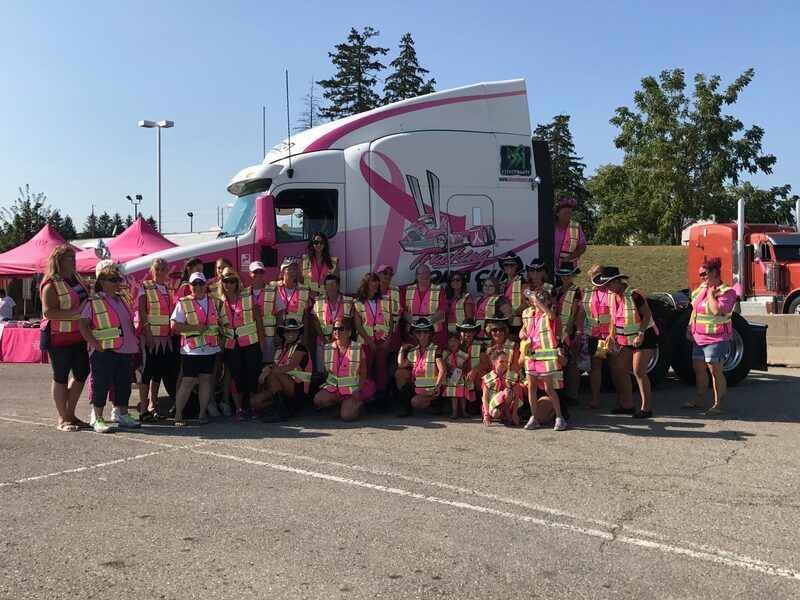 The Trucking for a Cure Team was presented a cheque for $5000 at the event to help support the fight against breast cancer. In addition to the cheque t-shirts and other wares were flying off the shelf as everyone came to support the team. It didn’t matter how small you were there was a way to get involved. Thanks you to the sponsors, volunteers, and public for the tremendous support for Trucking for a Cure.